You can say a lot of things about Eminem, legendary MC, iconic or even, hushed tones now, dated. 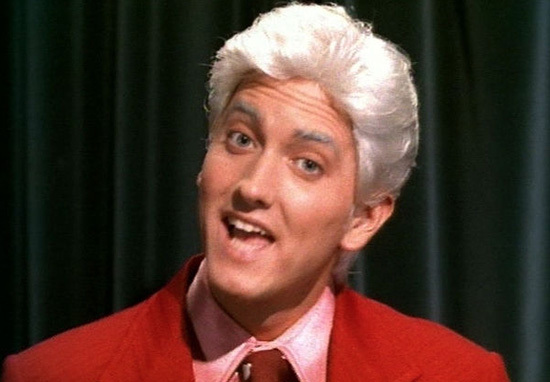 However, one thing you can’t say about Slim Shady is he’s a ‘biter’. For those who need a lesson in hip-hop ‘slanguistics’: the term ‘biter’ means a copycat, ie someone who passes off another person’s work as if it was their own. Basically, someone who ‘fakes the funk’. The man born Marshall Mathers certainly does not fall under this category. However, this hasn’t stopped many wondering whether Eminem writes his own tweets on Twitter. While it may seem like a frivolous hot take it’s not a far-off notion, celebrities are are very busy people. Some of the excruciating tasks include working on projects, doing sponsorship deals and taking selfies – it’s back-breaking stuff here guys. So it’s not a foreign concept for famous people to have what you would call a social media manager, someone who does all your Facebook, Instagram, Snapchat and Twitter posts under the false pretence it is actually them. It’s the best way for celebrities to be like ‘Hey look at me, I’m normal just like you. Oh, what’s that in the background? It’s just luxury boat’. But I digress, Em was adamant as he quashed any ideas of someone else tweeting on his behalf by posting what can only be described as the most ‘Eminem meta-tweet’ possible. Fair enough, I can respect the honest transparency between him and his fan base. While the so-called Rap God is elusive on social media it’s good to know he’s got control of his accounts instead of letting someone else control it under his supervision. According to The Clever, celebrities such as George Takei, Britney Spears and 50 Cent have admitted to hiring social media experts to do their posting for them. While commercially it performed well, critically it received mixed reviews. One of the many criticisms surrounding his latest album was its lack of contribution/features from established hip-hop artists, with greater focus on collaborating with mainstream acts such as Ed Sheeran, Alicia Keys and Pink. 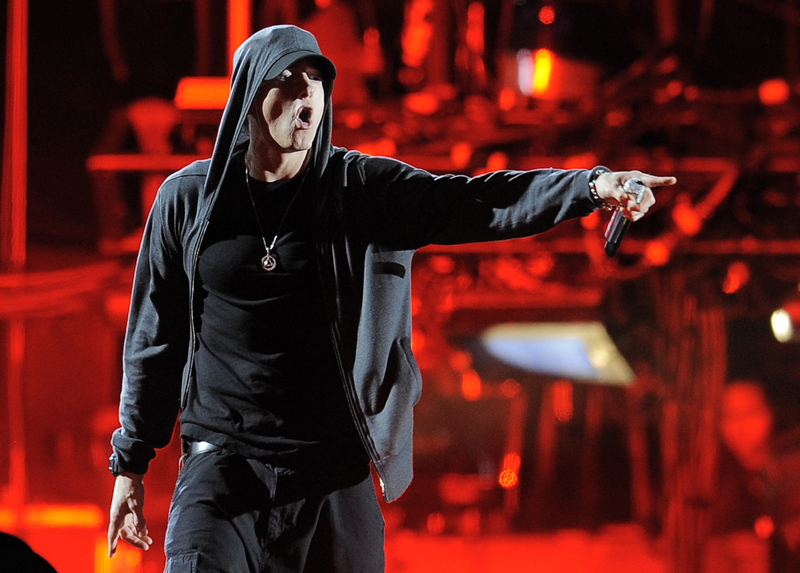 In the run-up to the release of Revival Eminem launched numerous scathing freestyles aimed at US President Donald Trump and his administration. His onslaught on Trump hasn’t let up, at the beginning of April he dropped his latest video, Framed, where he takes shots at The Donald as well as his daughter, Ivanka Trump. Woke up, it was dawn, musta knew somethin’ was wrong. Think I’m becomin’ a monster ’cause of the drugs that I’m on, Donald Duck’s on, there’s a Tonka Truck in the yard, but dog, how the f**k is Ivanka Trump in the trunk of my car? Gotta get to the bottom of it to try to solve it, must go above and beyond, ’cause it’s incumbent upon me… Plus I feel somewhat responsible for the dumb little blonde, girl that mother f**kin’ baton twirler that got dumped in the pond. While it’s obvious Mr Mather’s has matured in his lyrical content it’s good to know he still maintains his unrelenting visceral and juvenile demeanour for those who require his ‘special’ attention.